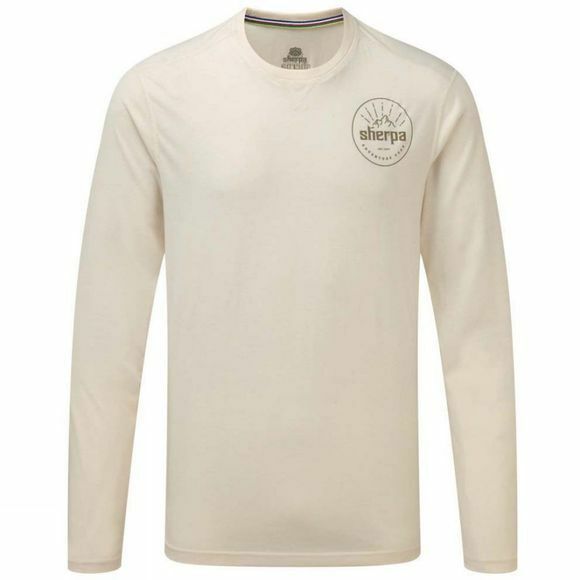 The super versatile long sleeved Mens Nima Tee from Sherpa is made of breathable, antimicrobial, moisture wicking and wrinkle- and stain- resistant drirelease fabric. It looks and feels like cotton but dries four times faster, so you get all of the comfort and none of the chilliness. Prayer flag reinforcement along the classic crew neckline keeps it from stretching out.